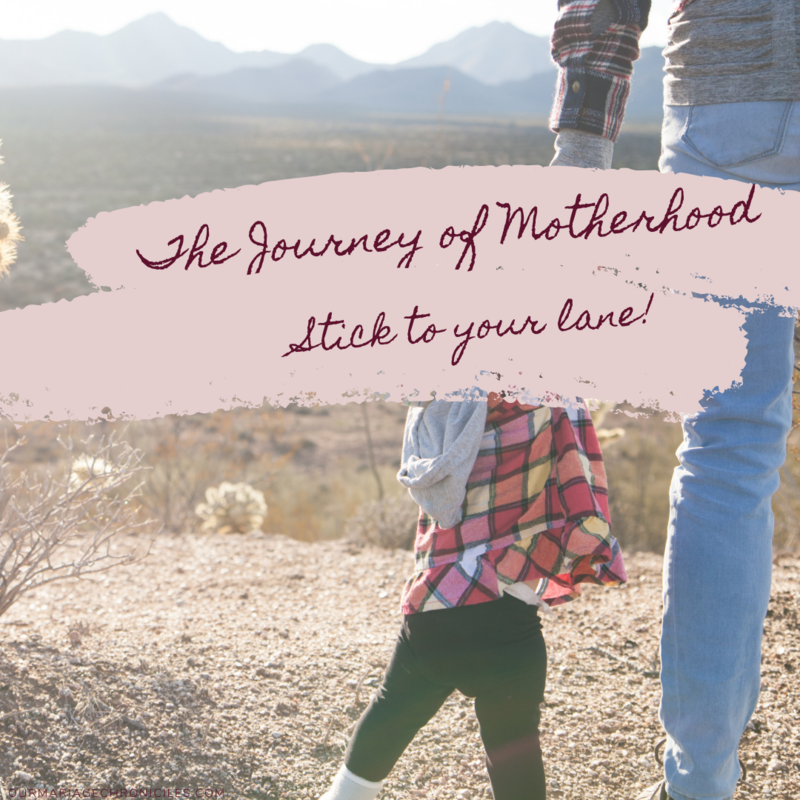 THE JOURNEY OF MOTHERHOOD – STICK TO YOUR LANE. We were patiently waiting for our turn at the pediatrics hospital. Our little one was up and down, extremely excited with the outdoors, until the milk craving struck! She came running straight to my arms wanting to nurse. Johnny reached down our diaper bag and got a light covering shawl out. As soon as she began nursing, we seemed to have piqued the interest of another mother who wasn’t shy of asking how old our child was. I found it bold and sweet at first. “About two years”, I confidently reiterated as my husband watched her intently. Her face looked dismayed, somehow displeased of which her answer clearly revealed. I swallowed hard. My palms became sweaty. My mouth ready to flood her with every unkind word, after all she fired the first shot, I was going to finish her with the next! I was totally pissed off! I prayed to the Lord to take the reins over my mouth! “Stop!” “Stick to your lane!” I felt the Lord’s whisper rebuke me. “Sure”, she said as she picked up her bags and left. “Thanks Hunnie.” My thoughts drifted off, wondering why she wanted us to have a mommy war. Being a mother has its own challenges and different levels of adjustments that come with the season. It’s a forever calling, but therein lies the inherent danger of comparison. Trying to be like another mommy or forcing your child to be like another. We are all unique, with different abilities and strengthens, therefore we cannot mother the same. The Bible doesn’t assign moral arbitrary values to “nursing”, or bathing, or what to eat, or what language to teach them, where to eat or which school to take your child to. The Lord assigns moral arbitrary on how we train our children. The values we instill in them. The path we set them on. Who really is a mom enough? What measures our mothering skills? The truth is, none of us is. We cannot claim to be mothers enough. None of us are! It is only through Christ that our little efforts become sufficient. He makes us bear fruits through His husbandry, fruits that our children partake and transform. Christ has given us His Word for our everyday living, including how we bring up our children. Not how culture or society expects of us. God’s Word is ENOUGH! He has given us principles in the Word as solid foundation for mothering. He has also given us the Holy Spirit to individually empower, teach, lead and guide and rebuke us in as we bring up our children. We too are prone to sin, after all, isn’t the Word admonishing us against provoking our children? See, we too need the Lord’s grace and help. What does this mean for us as mothers? It means that we are all mothering toward the unchanging goal—that our children will come to the knowledge of Christ, accept Him, love Him, serve Him and grow in reverence of Him. Our methods for reaching that goal may vary according to our unique family backgrounds, our circumstances, and the gentle leadership of the Holy Spirit. Will Christ lead every believer toward the same goal? Most definitely. Will Christ lead every believer to the goal in the same way? Absolutely Not! And this is a very good thing. Why? Because we are gifted differently. We are all members of the same body of Christ. 1 Corinthians 12:12-27. A body has different parts which function differently. Christ has to train us according to our individual gifting(s). It is not to compete against each other, but to complement each other. Because of the gospel, mommy wars have no place among us, especially them that know the Lord. After all, at the heart of these wars are PRIDE (“I am more spiritual than that mother because I employ this method and she does not”), COMPETITION (“My children are better than hers because I employ this method”), and SELF- CONDEMNATION, (“I am not spiritual enough or a good enough mother because I don’t employ the method that she does”). To end the mommy wars, we must learn to apply the gospel as we mother our children and apply wisdom when tempted to poke other mothers mothering methods. When we know God’s grace, we will stop looking for validation from others for our methods, and we are able to extend grace to others. We celebrate and respect the different gifts and styles of mothering as we move toward a common goal. It doesn’t matter if you feed your kids on raw carrots while and the cooks them, it doesn’t matter if you nurse your child till 5 while another stopped at 6 months. It doesn’t matter if one baths them in a tub while another uses a basin. They have no moral arbitrary signs. But it matters if you teach them about Christ. About His love and saving grace. It matters if you teach them about love, about purity and how God honors that. It matters if you teach them the power of Prayer and how to fight more on your knees than words. It matters if you will instill wisdom in them and godly instructions that will set them on the right path. Remember God’s grace. Turn off the whispers of the voices on the Internet and in all Parenting books on your shelf and focus on the only voice that matters, the quiet whisper of the Holy Spirit in the pages of THE WORD to bring up your children. STICK TO YOUR LANE – The Holy Spirit will lead. Next PostMY TWO PENNIES WORTH - ON SEXUAL PURITY.